J’ai le plaisir d’annoncer la parution de l’ebook Water is in the Air que j’ai coordonné pour la collection Leonardo à MIT Press. 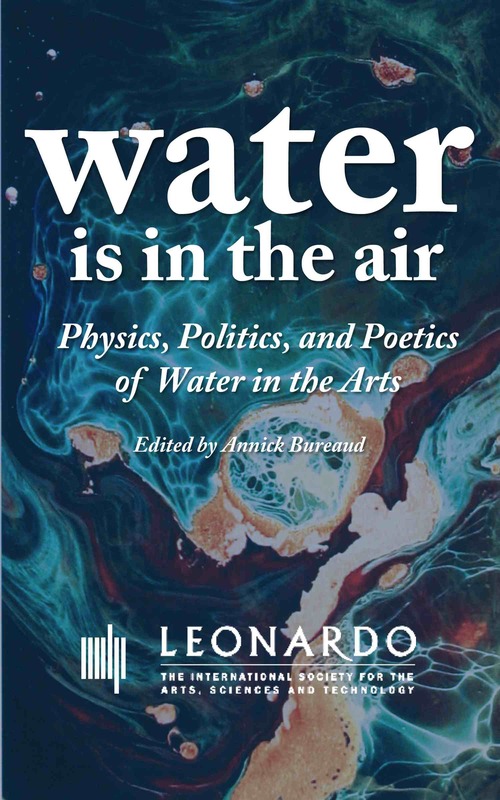 This ebook explores the ways that artists, from all over the world, working at the cutting edge of science and engineering, create work that addresses critical issues of water in culture and society. Drawing on thirty years of work documented in the Leonardo journal at MIT Press, the authors explore a wide range of topics, from art and climate change and pollution to artificially seeded clouds, from water fountains to the physics and poetics of waves, using all types of media (videos, performances, installations, sound art). 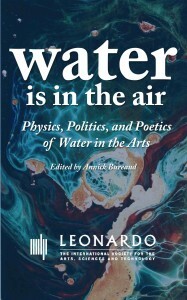 The Water is in the Air ebook is part of the ATEC Leonardo Initiatives in Experimental Publishing and Knowledge Curation at UT Dallas. It is published in collaboration with the STUDIOLAB consortium, a Europe-wide initiative that merges the studio with the research lab, funded by the European Commission Seventh Framework Programme. Editor Annick Bureaud – Executive Editor Roger Malina – ebook Managing Editor Cathryn Ploehn. Ce contenu a été publié dans Annick's News, Anouncement, Art-Science, Art-Science, Blog, Livres/Books, avec comme mot(s)-clé(s) Climate Change, Cloud, Leonardo, Leonardo ebook, Leonardo/Olats, Water, waves. Vous pouvez le mettre en favoris avec ce permalien.